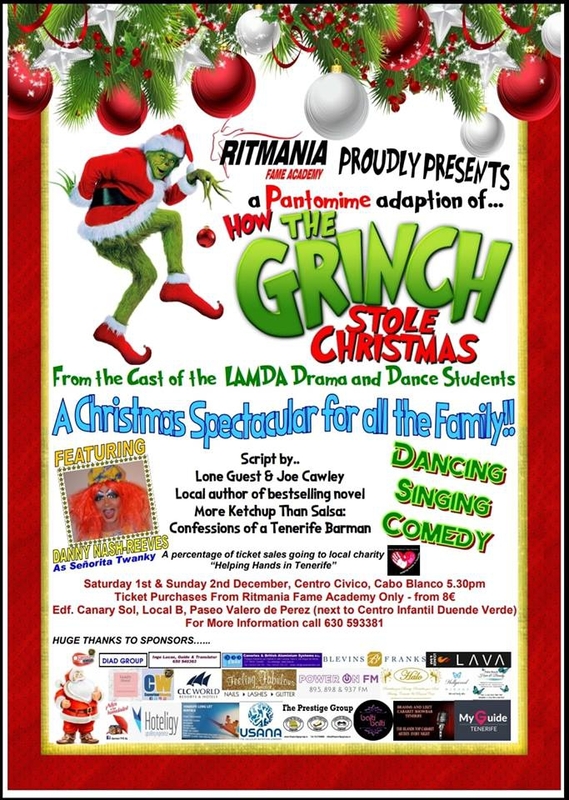 In support of the local charity 'Helping Hands in Tenerife', grab a seat to watch the talented cast of Ritmania drama and dance students perform a little bit of Christmas magic in The Grinch Stole Christmas, a panto based on the famous Dr. Seuss story, with script adapted by Lone Guest and Joe Cawley (local author of the bestselling More Ketchup than Salsa: Confessions of a Tenerife Barman Books). This spectacular theatre event has it all - panto clichees, an outrageous dame and plenty of dancing, singing and comedy. If this doesn't get you in the Christmas spirit - nothing will! Tickets on sale from Ritmania Dance Academy, from €8. Phone 630 593 381 for more info.